Imagine you were given a task to do. You were given a clear deadline and despite the fact that you would incur considerable cost in complying, you set about the job in hand. And then imagine how you would feel if part way through the task, with everything on track the goalposts were moved, making it impossible to achieve. The penalty for not hitting the new deadline? Demotion. Now take a look at the ground above. Idyllic isn’t it. This is Oakwood, home of Vickers Crayford Dartford Athletic. This was taken a month before a decision was made to expel VCD Athletic from the Ryman League structure. Their offence? Well see that pinkish path around the edge of the pitch? The one that is about 1 metre wide? Well that wasn’t deemed enough. It needed to be 2 metres wide. The club were on course to complete this work by the original stated deadline, but then someone at the league decided to bring that deadline forward for reasons unknown. The club couldn’t meet that, and despite finishing in their inaugural season in the Ryman League in 8th place, the club were relegated. Sound harsh? Indeed. Especially as their average crowd in that first season was just 93 people, making them the 330th best supported team in England. As you can see from above, it wouldn’t be hard to fit 93 people in the two stands or randomly around the pitch, but hey-ho these are the same people who have stopped Whitehawk playing at the Withdean Stadium, used by Brighton & Hove Albion for many seasons in levels up to the Championship because it didn’t meet their requirements. After such a high, the crash down had a major impact on the club. Manager Paul Foley left to join fellow Kent Premier League side Chatham Town, taking most of the first team squad with him. 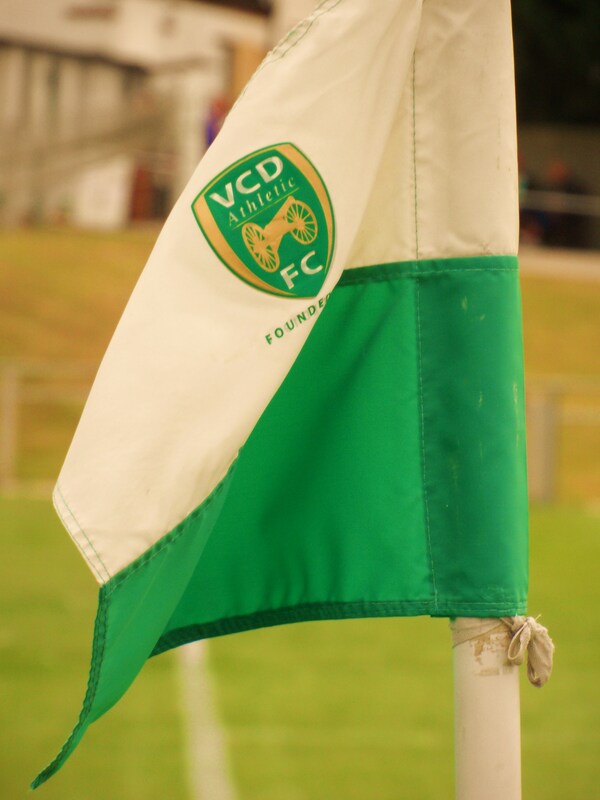 VCD are quite a unique club. They were one of a small number formed during the Great War in 1916 as a works team for the armaments factory owned by Vickers. 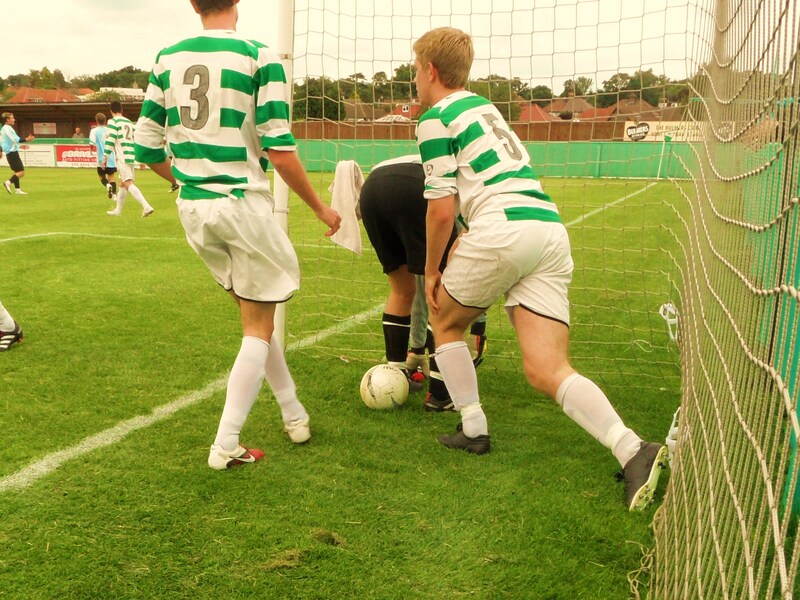 Up until 2009 they played in the Kent Leagues, finding success in the local cup competitions. Then Foley was appointed in 2007 and within two years had led the club into the Ryman League for the first time. VCD Athletic 1 Cray Wanderers 2 – The Oakwood – Saturday 23rd July 2011 After the delights of watching the Kentish Men, I was back off up the A2 to watch some Men of Kent (or vice versa – I can never remember which way around it is). This in theory should have been an imbalanced content on paper. The teams are separated by two divisions these days and Cray Wanderers enjoyed their finest ever campaign last year and at one point were as high as second in the Ryman Premier League thanks in no part to the prolific form of striker Laurent Hamici. So I grabbed a beer and some food and took up position behind the VCD goal just before a Cray defender upended the VCD forward in the area. Penalty the referee said. “Always the f@ck!ng same this lot, always cheating” I heard from a chap in a tie to my left. Hmm interesting view. Firstly, we were over 100 yards from the incident; secondly not one player appealed against the decision;and finally after a delay of a couple of minutes for treatment the VCD forward eventually got to his feet and blasted the ball home. Spirit of Football 1 Bitter and twisted Football 0. It was after twenty minutes or so I released that Lewes are due to play Cray three times this season including a tie in the Carlsberg FA Trophy. I should have been taking notes, preparing one of my famous scouting reports for Kingy. But without a clue who anyone was, and with substitutes coming and going wearing the same numbered shirts as others it was impossible. What I can tell you is that they responded with two quick goals in the latter part of the first half. Firstly a good move down the right saw a cross whipped in and well finished by a Cray forward running into the box. His shot flew across the keeper and through the net. I could see the nets needed a bit of TLC and perhaps would have been questioned by a more eagle eyed referee or assistant but I was surprised that anyone from VCD didn’t claim the ball had gone wide as it nestled against the perimeter fence. After all, VCD are “always cheating” aren’t they? Five minutes later and Cray scored the winning goal. Or actually VCD did on their behalf. A great low cross from the left was too difficult for the keeper deal with and two defenders running behind him got in each others way and ended up with the ball in the back of the net. Half time saw a raft of changes as you would expect in these games. 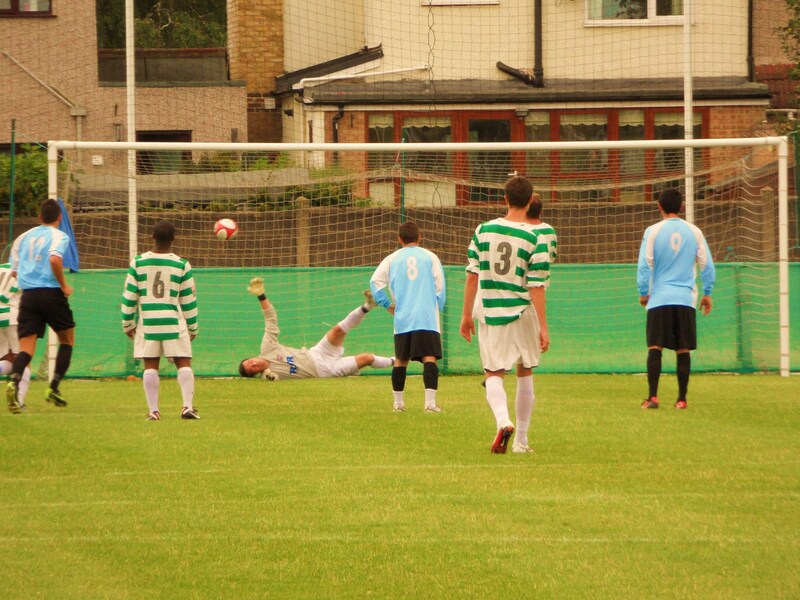 One player who stayed on was the Cray Wanderers keeper. Now here is a tip for all Ryman Premier League teams this season. The keeper likes to have a bit of a dribble outside his area. Not only that he also likes to try and beat forwards who may try to close him down. Not once on some occasions but he then tries it twice. He got away with it here but we all remember what happened to Rene Higuita, the Columbian keeper at the 1990 World Cup don’t we? And I am not talking about the awful perm. He also appeared to have a temper, judging by his reaction to a challenge on him in the second half which saw the referee tell the offender to “go and substitute” himself before the keeper sought revenge. A pleasant afternoon of football all told. Eleven goals, two new grounds and a bit of scouting to boot. VCD did not deserve the treatment they got at the hands of the football authorities. But then again why are we surprised about anything they do these days. More pictures from the game can be found here.